The Police department is the primary law enforcement agency. It administers the Government’s economic, trade and tariff policies, handles international traffic of imports & exports, and aids to minimize demerit goods from augmenting in the markets. With low barriers to market entry and infiltration, the Police play a very significant role in ensuring and enforcing the protection of right owners. 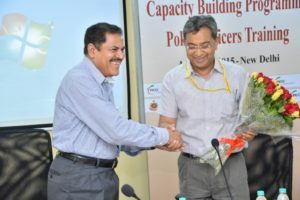 Keeping the above in view, FICCI CASCADE organized a training programme for the Delhi Police officers on August 03, 2015 at the Rajender Nagar Police Station, New Delhi, with an objective of equipping the police officers to understand and take requisite action against counterfeiters and smugglers. 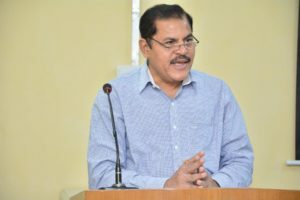 Mr. Suvashish Chaudhary, IPS, Principal, PTC , the Chief Guest at the programme, emphasized that the police had a significant role in fighting the menace of smuggling and counterfeiting. He stated that although counterfeiting was looked at as a victimless crime, it had many far-reaching consequences and it was extremely important for a police officer to understand the consequences before taking actions on ground. Only then will an officer investigating a case related to smuggling and counterfeiting be able to understand and take suitable actions. He further added that protection of rights takes a key role given the emphasis on the current ’Make in India’ campaign. Hence, awareness generation on counterfeit and smuggled items is a must as this will act as a deterrent to the illicit market operations and give fillip to the economy. Mr. 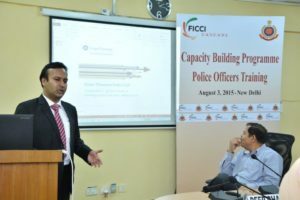 Deep Chand, Advisor, FICCI CASCADE, in his address informed about FICCI CASCADE’s mandate of capacity building of law enforcement agencies including for Judges, Police and Customs Officers, and how CASCADE had been working extensively in this area nationally. 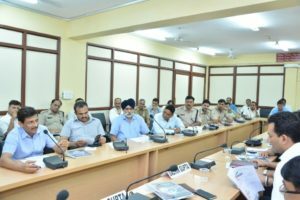 The emphasis was on organizing training programmes and seminars along with continuous interactions with the law enforcement authorities to underline the importance of increased awareness on the serious problem of counterfeit and smuggled goods. Mr. Chand correlated smuggling and counterfeiting activity with the security challenge in different environments around the world. He cited that illicit trade especially in two product categories i.e. tobacco and alcohol were being increasingly used to fund anti-social and terrorist activities. 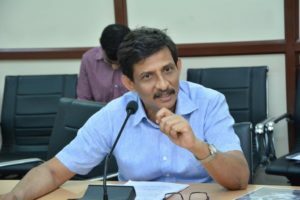 Mr. Chand also observed that the need of the hour was tangible actions to increase enforcement, and to impose increased punishments. This was imperative to reassure legitimate business owners and consumers that the government was serious about protecting right owners which, in turn, would elicit greater support for government policies. 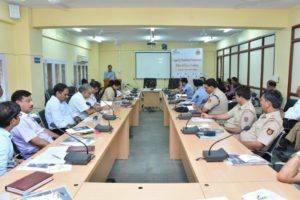 The training programme was attended by over 50 police officers and provided a useful platform for the exchange of ideas and experiences in the enforcement of laws and practices while dealing with counterfeiters and smugglers. The speakers deliberated on the various aspects that a police officer is needed to keep in mind while investigating cases of smuggling and counterfeiting, including: Legal Provisions to Offences & Penalties for Counterfeiting and Smuggling, Provisions under Patents, Design, Trademarks and Geographical Indications Acts and Practical know-how of Investigation of IP and related Economic Crimes. Other significant areas of discussion included on Tax Arbitrage – Grey Market Operation and Global trends of investigations in counterfeits and their enforcement. The speakers at the programme included Mr. Mangesh Kashyap, IPS, Deputy Commissioner of Police, IPR, Economic Offence Wing, Delhi Police, Dr. Alka Chawla, Professor, Faculty of Law, University of Delhi and Advisor, FICCI Intellectual Property Education Centre, Dr. Prithpal Kaur Assistant Registrar TMR, Patent Office, New Delhi, Mr. Sachin Gupta, Associate Partner, Inttl Advocare and Mr. Kunal Gupta, Executive Director, Grant Thornton India LLP. 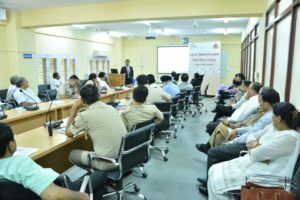 The participating police personnel found the presentations constructive and interacted actively with the speakers.